Peterson grew up in Fairview, Alberta. He earned a B.A. degree in political science in 1982 and a degree in psychology in 1984, both from the University of Alberta, and his Ph.D. in clinical psychology from McGill University in 1991. 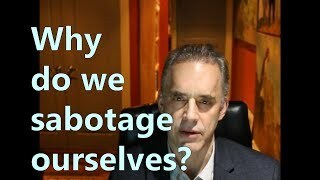 He remained at McGill as a post-doctoral fellow for two years before moving to Massachusetts, where he worked as an assistant and an associate Jordan B. Peterson is a Canadian clinical psychologist, self-help writer, cultural critic, and professor of psychology at the University of Toronto. His main areas of study are in abnormal, social, and personality psychology, with a particular interest in the psychology of religious and ideological belief, and the assessment and improvement of personality and performance. Jordan B. Peterson isn't a Goodreads Author (yet), but he does have a blog, so here are some recent posts imported from his feed. “If you can't understand why someone is doing something, look at the consequences of their actions, whatever they might be, and then infer the motivations from their consequences. Is this you? Let us know. If not, help out and invite Jordan to Goodreads.